haha just kidding. My days are so exciting - right?! I just keep plugging away at things my kiddos need more help with. I always tell my kids to be investigators and solve their problems etc. 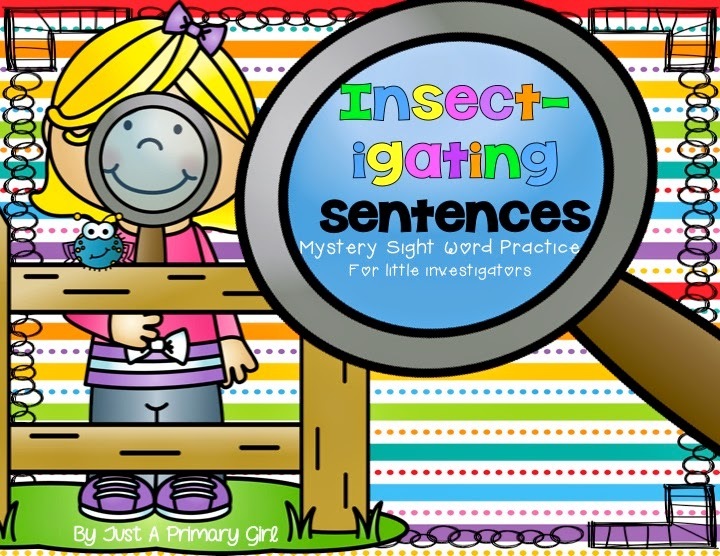 Well, here is my insectigators sentence sight word practice! 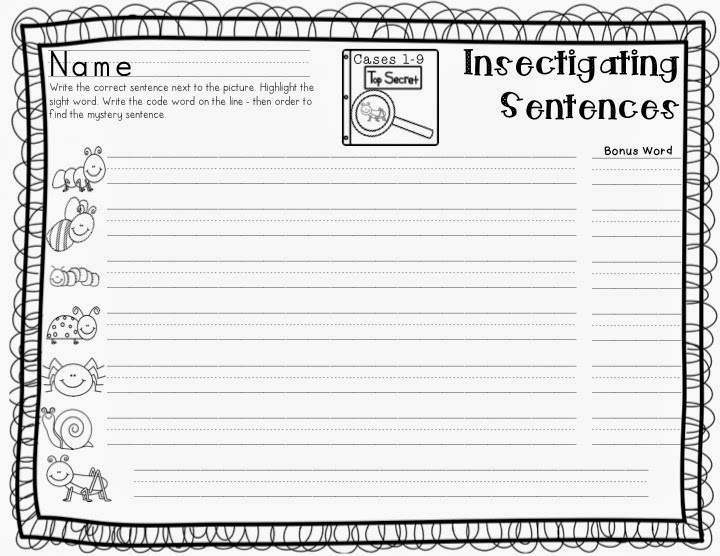 My little investigators will just die when I share this on Monday! 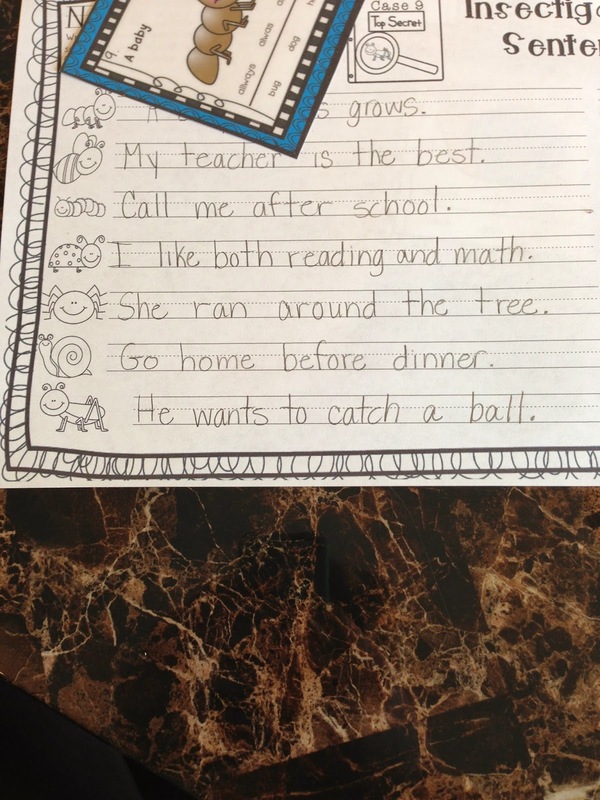 It is FULL of first grade wonderfulness. I want to ensure my kiddos are constantly reading, thinking and hopefully writing, and this is making it happen! These are the words that I used to create this pack. 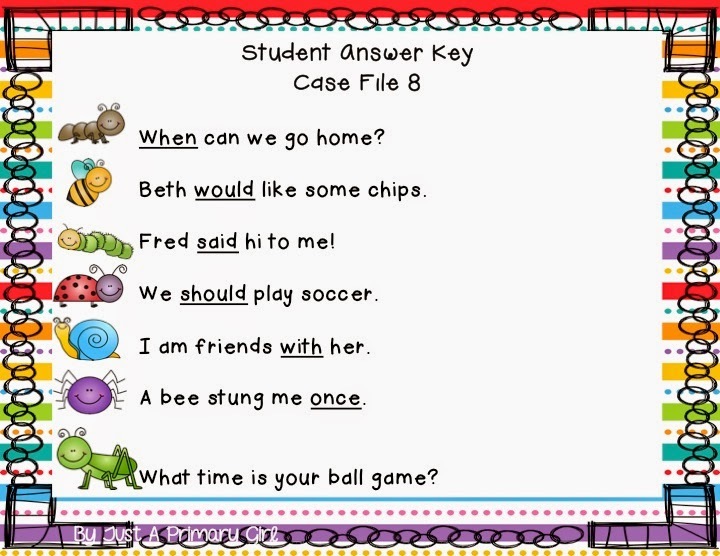 There is a lot of short simple sentences that go over many of the word families that they are learning as well. 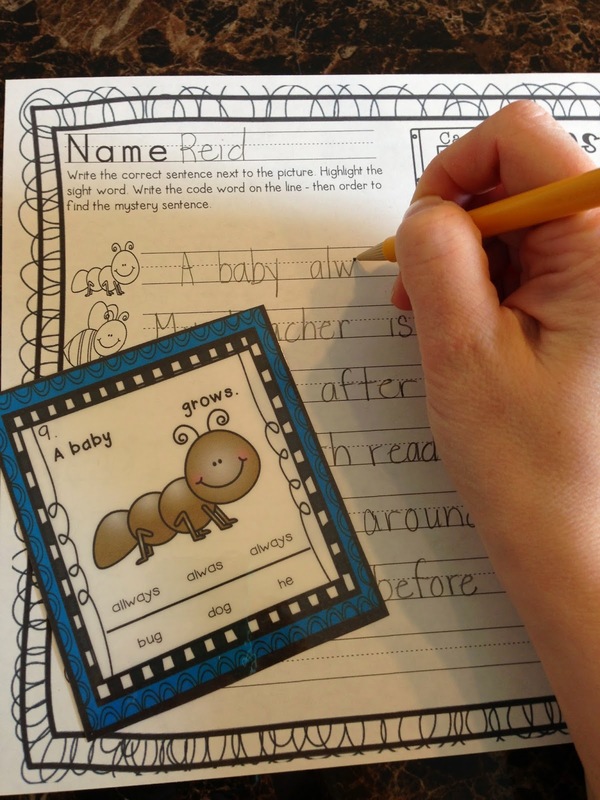 Short vowels, and digraphs. 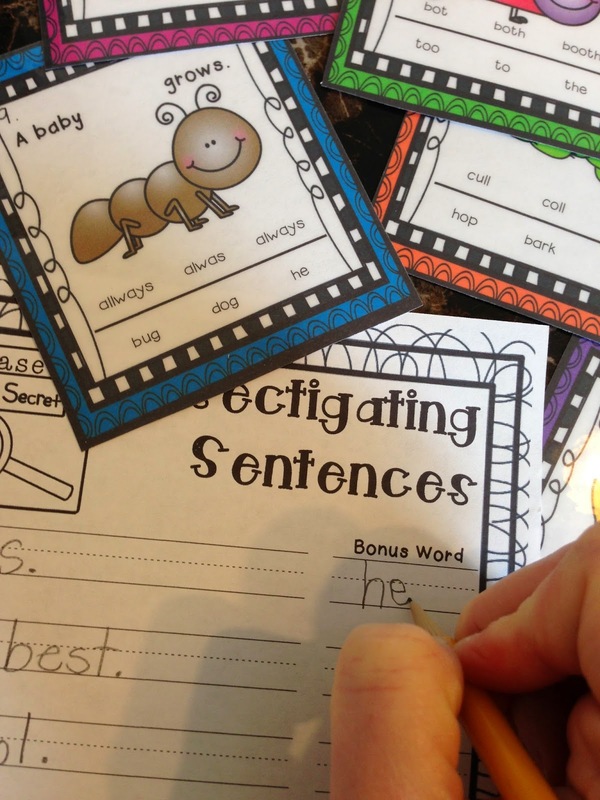 Each card has a different sentence that needs completed. 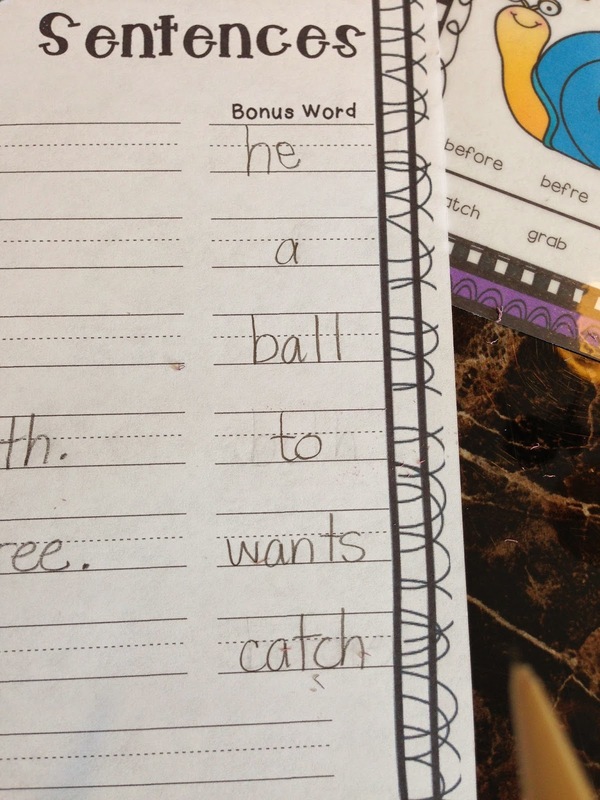 Students need to decide which spelling is correct. 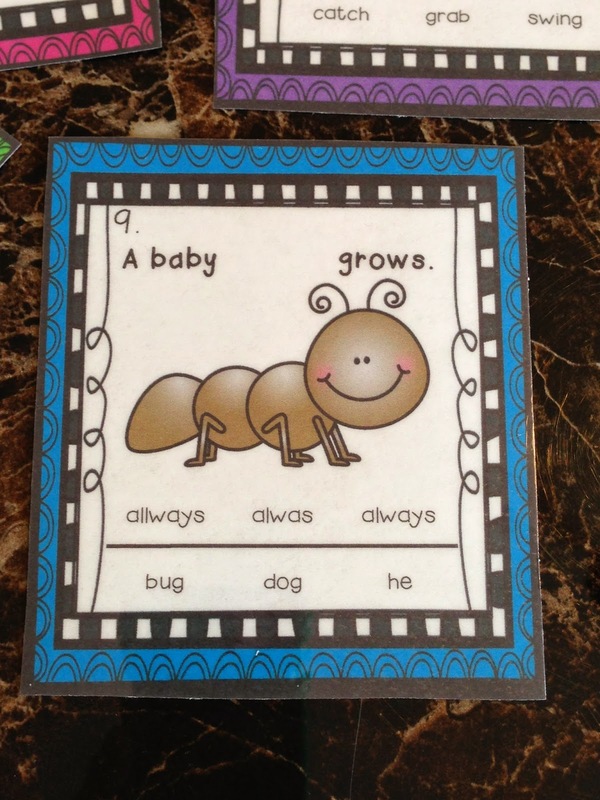 Then, they write the sentence the correct way on the matching insect line. 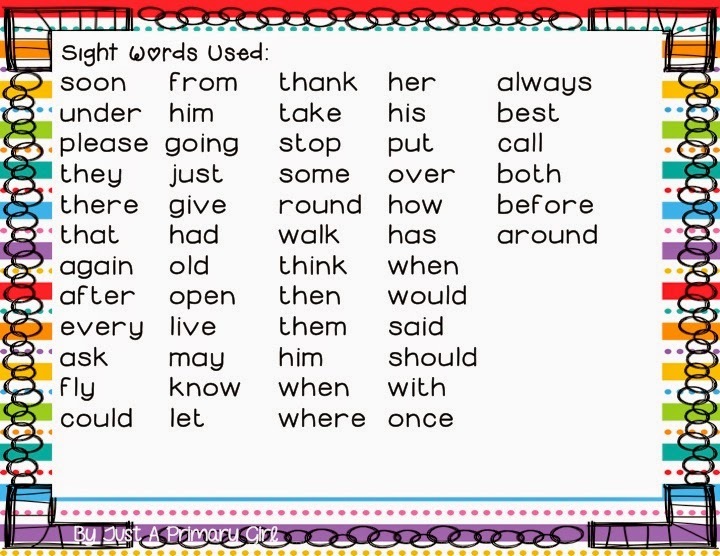 Then they match that correct spelling with the secret code word under it. Once they get all the code words written down, they need to figure out what the mystery sentence is. It is self correcting, because it will not make sense unless the correct words are picked! I just love this part. I can either check it myself, or have a friend check my work for me! If you like this, head on over to my TPT page. It will be on sale for half off until late Saturday or maybe Sunday morning. 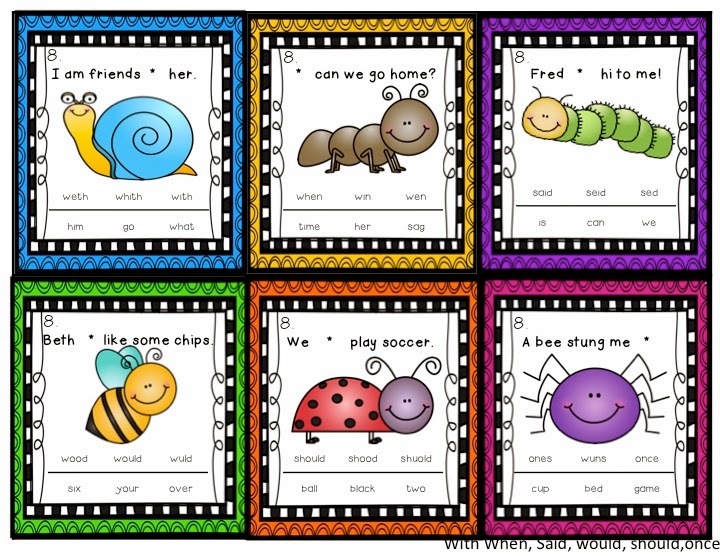 because I have another little freebie that is similar with sight word practice as well! I hope you will follow my store because you never know what tricks I have up my sleeves!!! 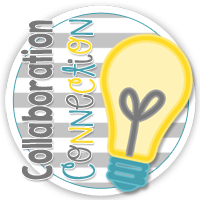 Here is the link to my freebie that is on the Collaboration Connection tomorrow!! Leave a comment and I will pick one sweet friend to win this pack for free tonight!